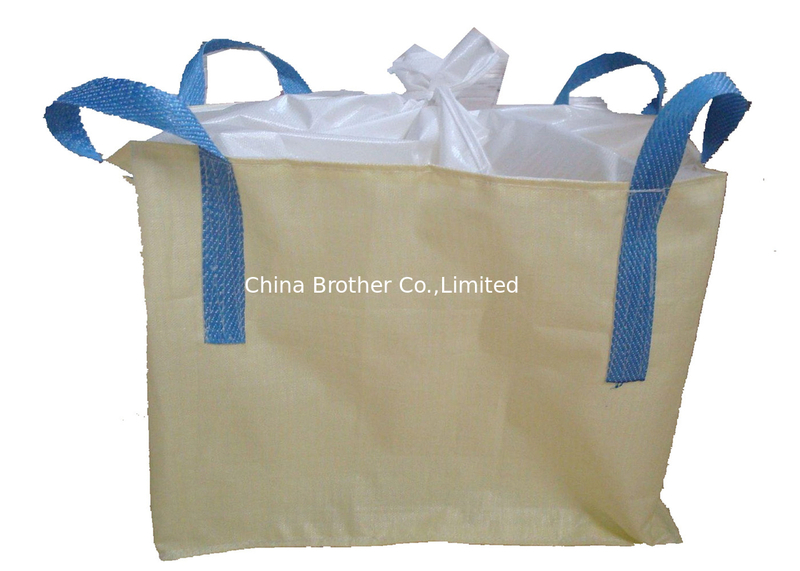 Also available are bulk bags with liners , sift proof seams , printing with your company's logo. 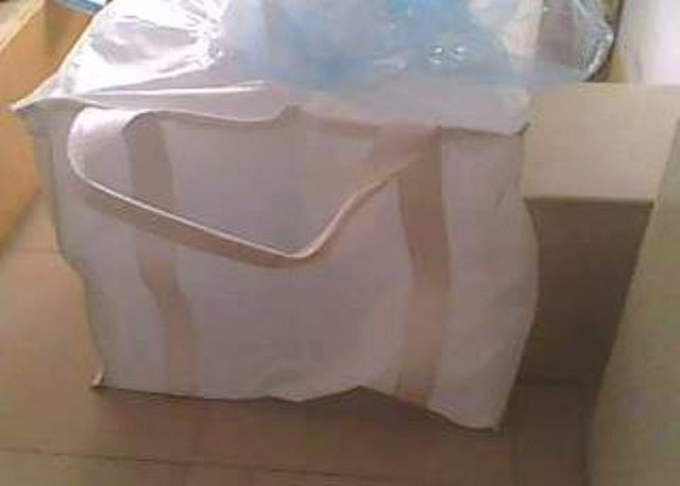 Packaging: Compressed packing, 100 pcs / bale, depends on the size of the bags.1*40FCL-44 pallets, depending on the bags size and quality. 1*20 FCL - 20 pallets, depending on the bags size and quality. The circular design is ideal as a linerless option for fine materials. Circular construction eliminates side seams resulting in improved sift and moisture protection. The spread loop design allows for easy fork lift access. The u-panel construction is excellent for a variety of products and has tremendous lifting capacity due to long loops sewn in the seams. A very popular design for dense products. 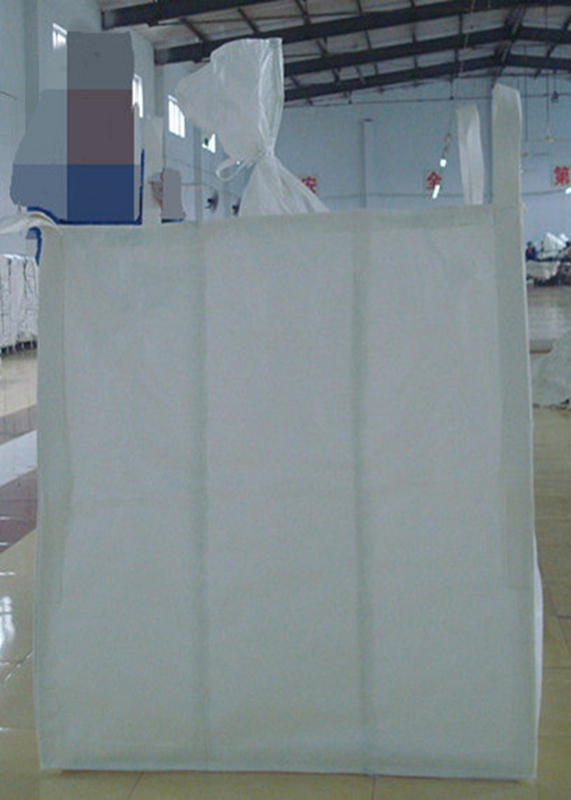 Baffle Bags are constructed with corner baffles to maintain their rectangular or square shape once they are filled and during transportation , and in storage. The corner baffles are made to allow the material flow smoothly into all the corners , yet preventing the bag from expanding in the process. One loop and two loop bulk bags are ideal for crane lifting. With the unique yet super tough loop design , hooks can be attached quickly and at ease. If you you do not see the bag you are looking for please contact us with your requested specs. 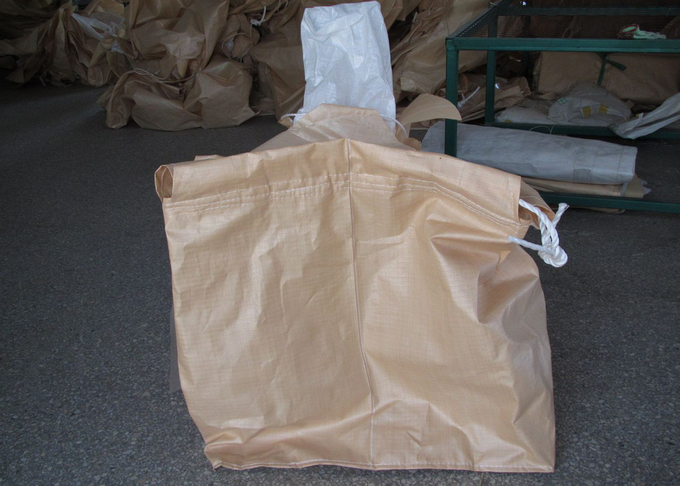 We have many other options available for bulk bags.